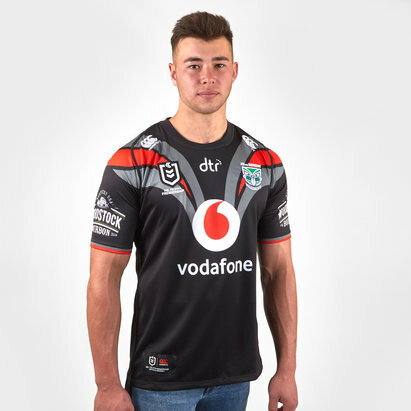 Show your support for the Warriors when you pull on this New Zealand Warriors 9s NRL 2019 Alternate S/S Rugby Shirt from Canterbury. 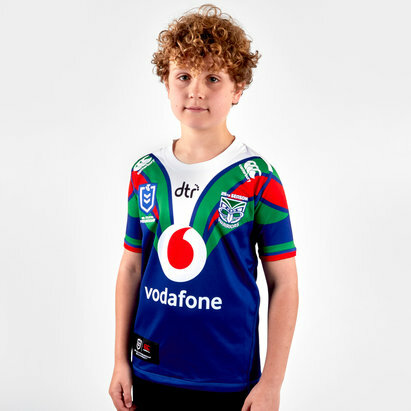 This "The Little General" shirt is a celebration of Vodafone Warriors legend Stacey Jones and is limited edition. This design is influenced by his masterclass performances in 1997 that led to his historic player of the year award. 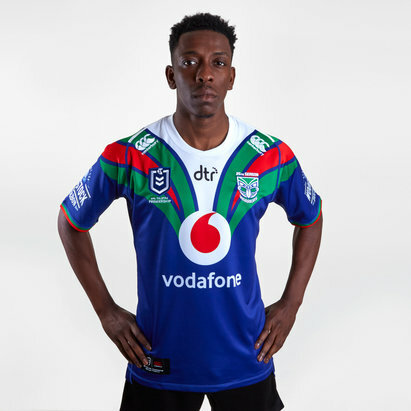 Celebrating 25 years in the NRL, the 2019 jersey range is all about the retro look - embracing the players, seasons and jersey designs that have made the Vodafone Warriors what they are today. It is the same as the home shirt but with the colours switched around. It is predominantly white with blue and green wings and the same colours on the sleeve cuffs. The Canterbury CCC logo is on each shoulder whilst the team's sponsor - vodafone - is across the middle. 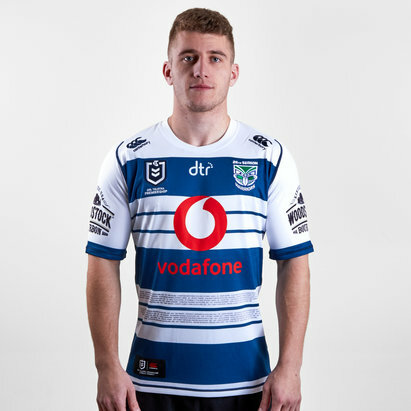 the theme badge is on the left of the shirt an the NRL badge is on the right. 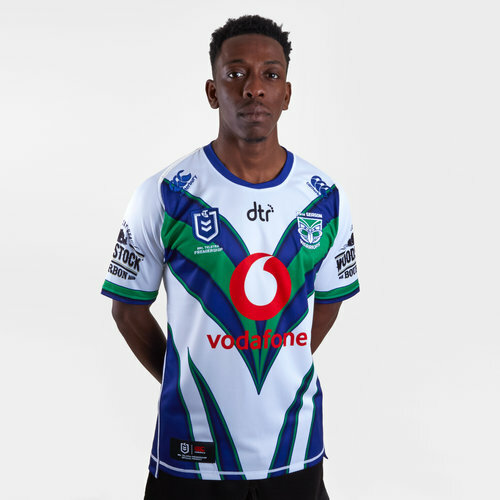 The design sees a completely unique design for this years NRL 9s tournament.